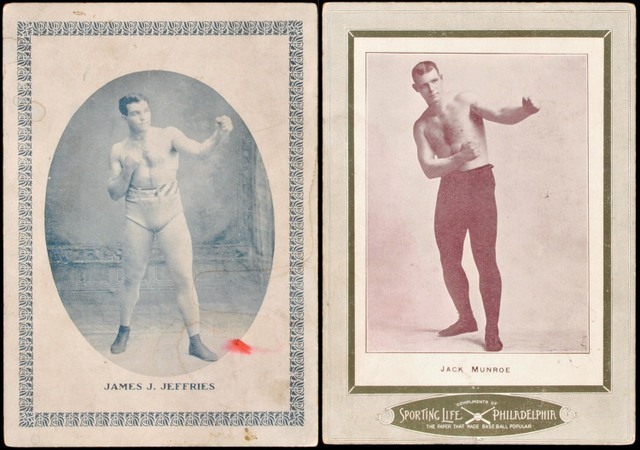 1904 Jeffries-Munroe cabinet card by Sporting Life magazine. Unlike 'true' cabinet cards, this one is printed rather than photographic, and double-sided. Only one specimen is known.